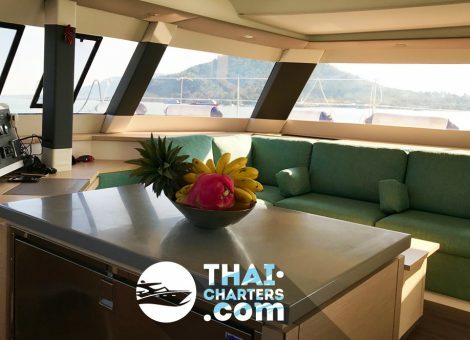 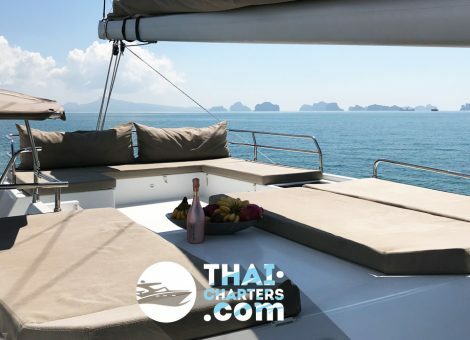 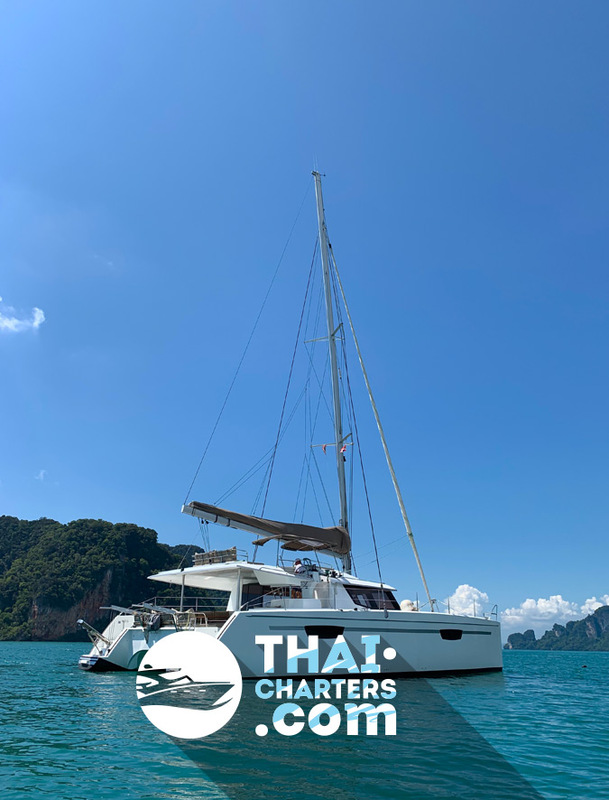 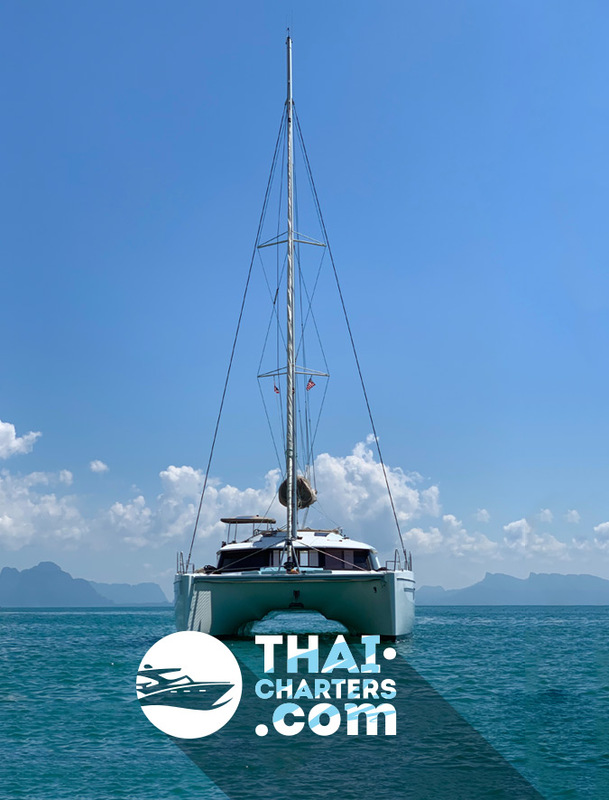 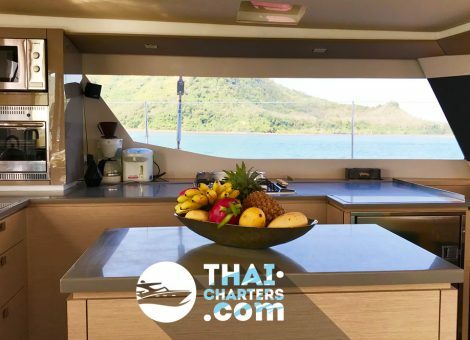 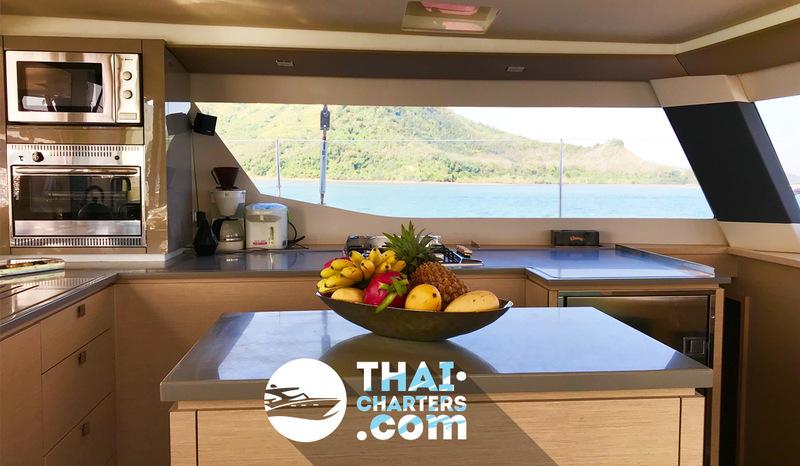 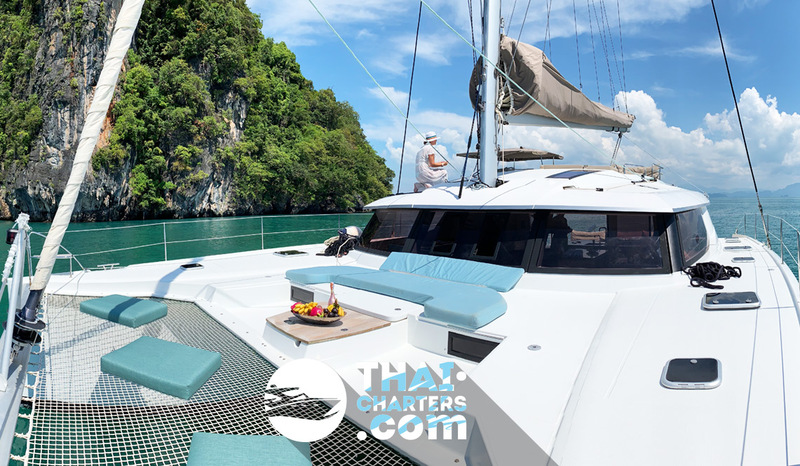 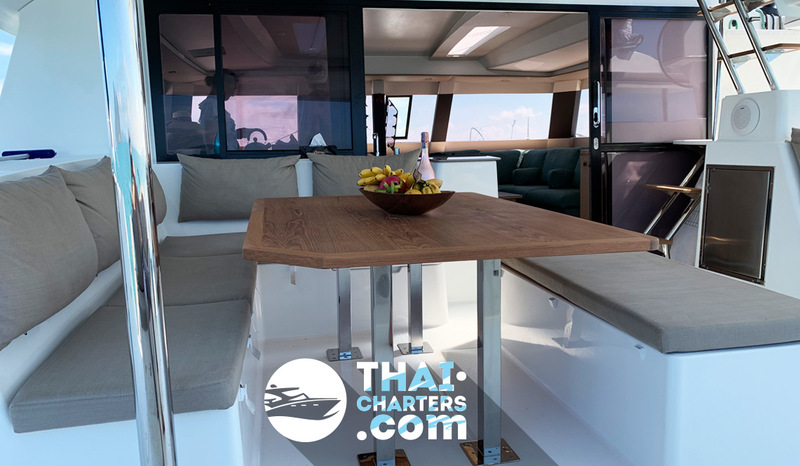 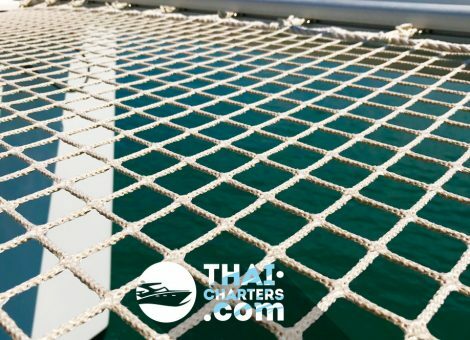 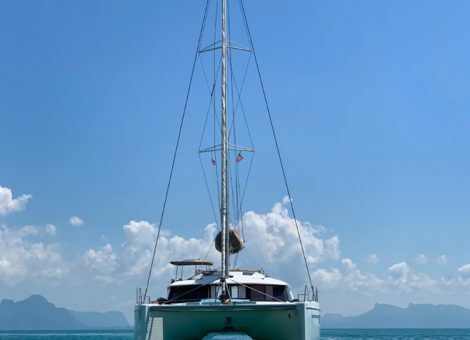 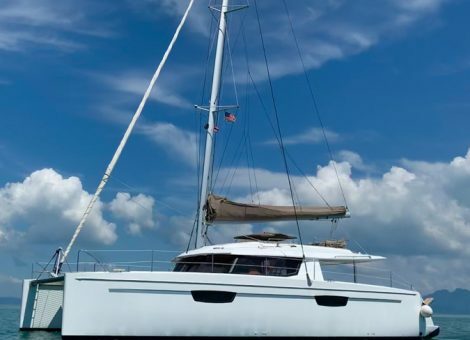 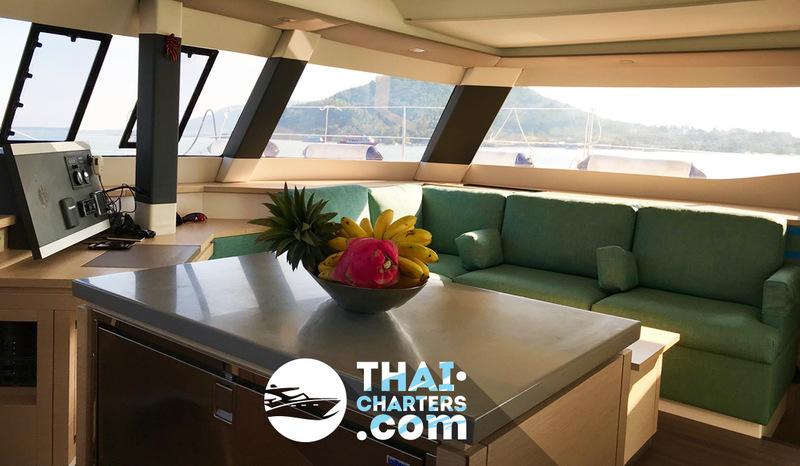 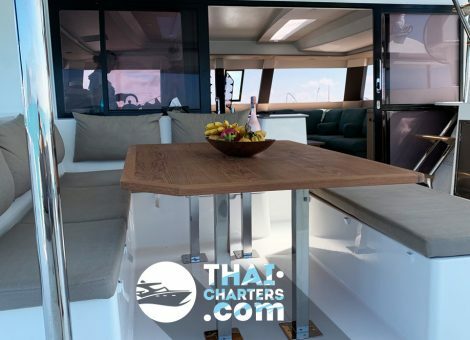 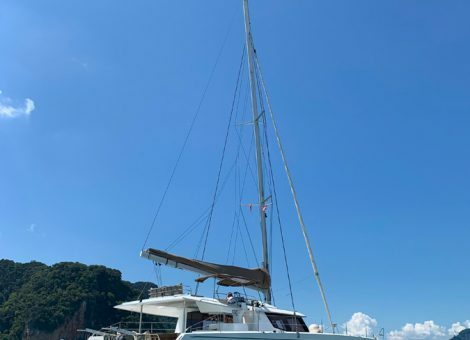 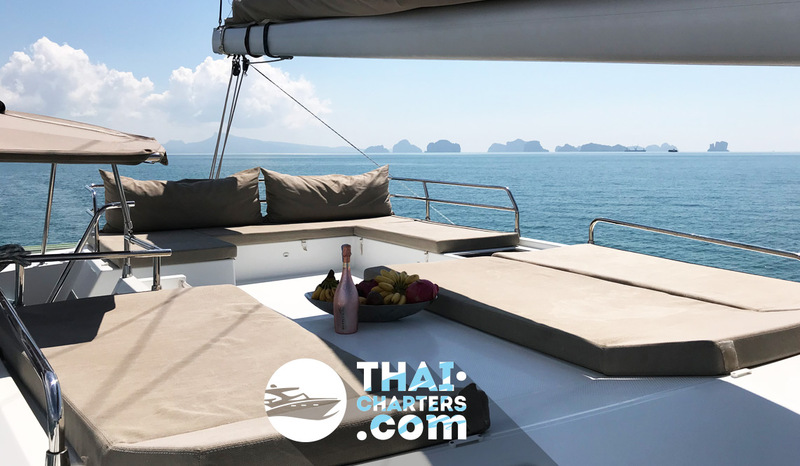 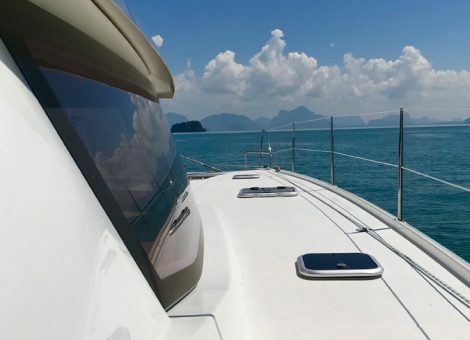 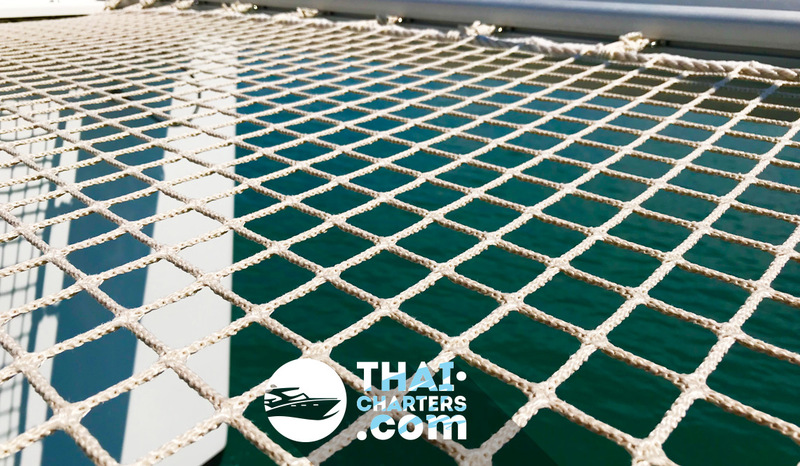 Sailing catamaran Fountaine Pajot 50 from the famous French shipyard for rent in Phuket. 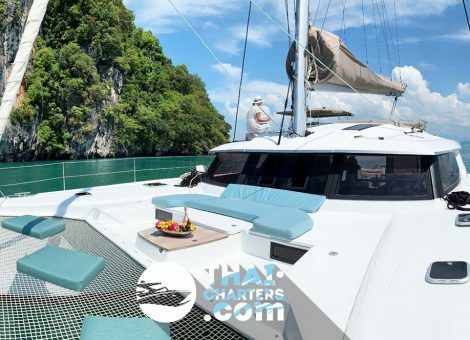 These catamarans are popular with both private owners and many charter companies. 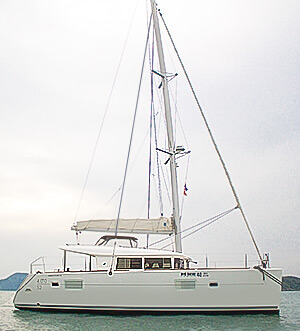 The latest model and year of this catamaran highlights it from its analogues in this class. 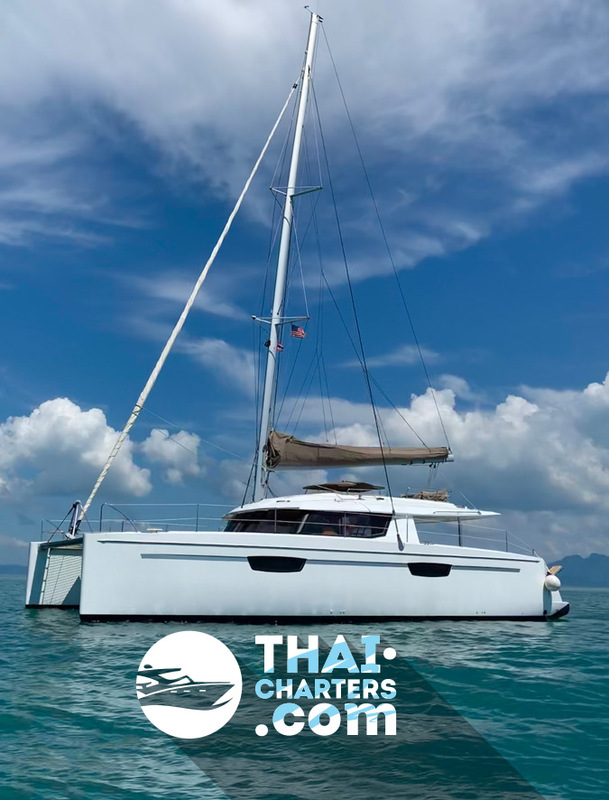 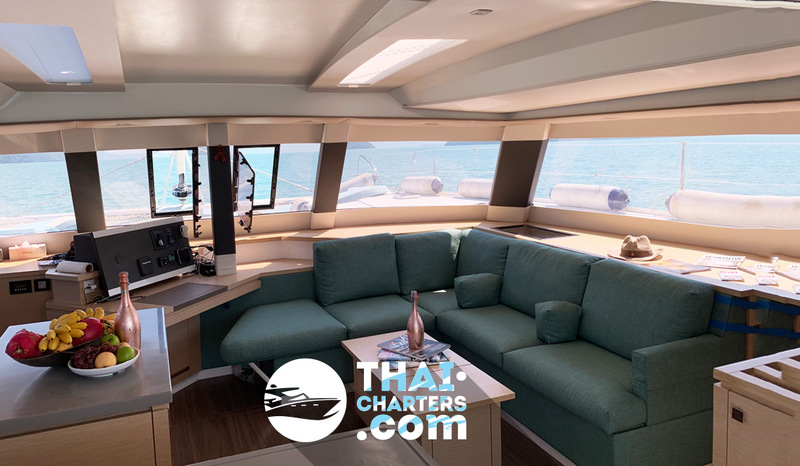 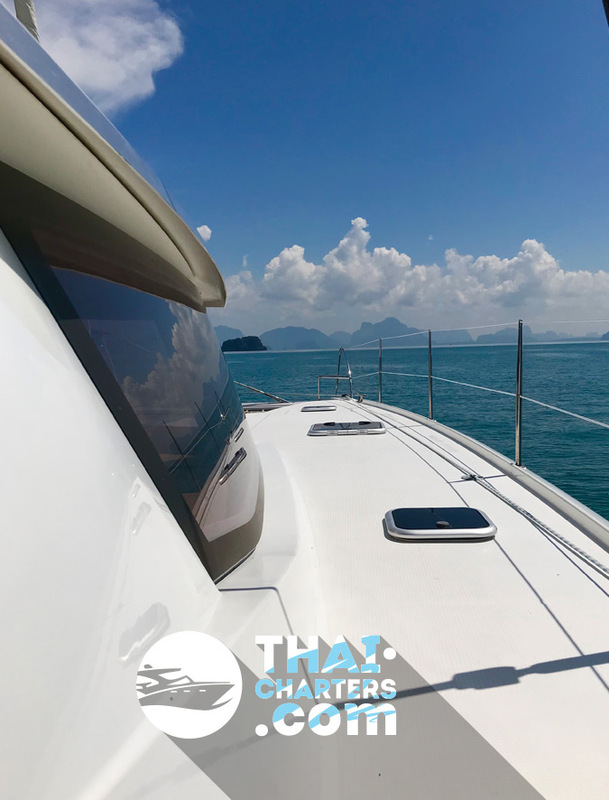 Sustained and stylish interior, thoughtful ergonomics of the cabin, covered cockpit with a comfortable dining area, mesh and sunbathing on the nose, a full kitchen with all appliances, 6 showers and much more for a comfortable charter. 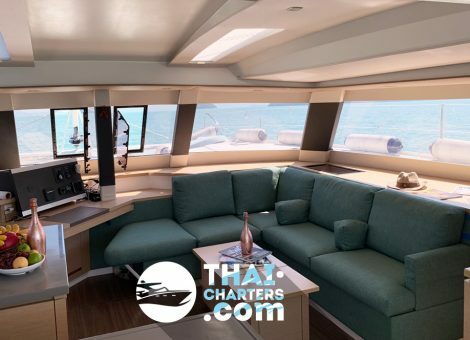 An ideal choice for multi-day cruises with comfort.